Our cover crop mix has generated lots of questions on how to use it. This means we need to share more information with you. It is fantastic seeing so much interest about improving your soil and your garden! I’ve taken the most frequent questions and condensed them into a Q&A format below. The Garden Cover Up mix page lists the coverage rates for each variety. 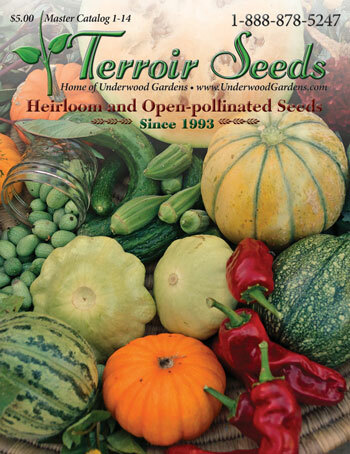 1 lb will seed 200 square feet, or a 10×20 garden bed or 2 5×10 beds. 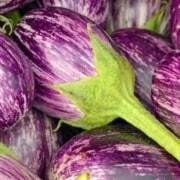 8 oz will seed 100 square feet, or a 10×10 garden bed. This gives you a thick planting, boosting soil fertility and decreasing weed pressures. Ideal planting times are early August through mid-September, depending on your growing season. Plant around mature garden vegetables or in spaces left from the removal of older plants. Preparation is easy. Broadcast the seeds and rake them into the top half inch of moist soil, or cover with 1/2 inch of mulch or compost. Water equal to 1 inch of rainfall per week until seedlings become established. 6 – 8 weeks before your first frost date is the best time to plant. Use the First and Last Frost Dates tool from Dave’s Garden if you don’t know your expected first frost date. Enter your ZIP code and find the weather station closest to you. The first frost date is the intersection of the vertical 50% column and horizontal Fall 32°F line. 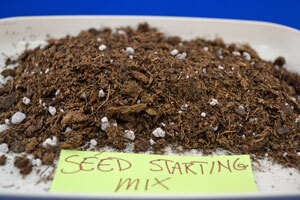 Count back 6 to 8 weeks to determine when you should sow the cover crop seed. By planting a few weeks early you’ll have bigger growth, but may need to clip the spent flowers to prevent re-seeding. Cover crops are good for any sized garden larger than a container garden where it is easier to change the soil out. Your raised beds would benefit from our cover crop mix. If you get a good freeze, the mix will “winterkill”, meaning they will die after a hard frost of around 24°F or so. Then the plant matter will fall down to become mulch for the soil, while the roots decompose. You can turn them under, but I don’t recommend it as tilling or turning disturbs the soil structure. You can plant right among the mulch in the spring. The cover crops will set seed and scatter those seeds if you let them. 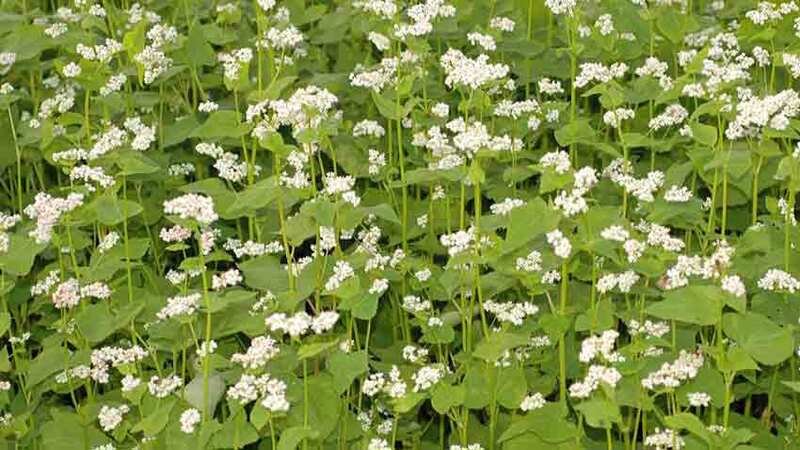 Plant cover crops 6 – 8 weeks before the first frost so they get good growth and flower but usually don’t have the chance to set seed. If you see seed forming, just clip those seed heads off and throw them away. This way the cover crop can’t be an unwanted guest next spring! You have a great thought in using the cover crops to help establish and improve the garden soil for next season. This is the exact method used by organic farmers and growers to prepare fallow soil for a crop. Growers will plant cover crops in succession, or they allow the flowers to re-seed themselves. Rake to loosen the top inch or so, broadcast the cover crop seed and rake again until just covered. Water the area equal to 1 inch of water per week until the seeds sprout and the plants establish themselves. Let the plants flower and start setting seed, then clip the heads to prevent them from re-seeding. Allow the plant matter to die in the frost, creating its own mulch. The roots and topsoil mulch decompose over the winter, giving you with an excellent start to next gardening season! “I am slowly working toward taking my area back from prairie dogs and building a garden plot on 4 acres that are usually dry and sandy. Do you have a general ground cover seed mix to assist in soil health and holding my sand back from flowing away during the monsoon season? Our Garden Cover Up Mix provides plenty of nutritious forage for your chickens. Plant a test plot close to where they are. Water the area equal to 1 inch of water per week until the seeds sprout and the plants establish themselves. Then you can trim some as fodder for the chickens as it grows and develops. Our Backyard Chicken collection is another option. It has a variety of tasty edibles like sunflower, corn, Swiss chard, mustard and kale. For erosion control, I would plant a straight (50/50) mix of buckwheat and cereal oats. Both are fast growing with good root systems that hold the soil in place. They provide good mulch after the plant dies off. You might test plant a strip about 3 – 5 feet deep crosswise to how the water flows during monsoon season. This acts as a catch strip, slowing the water down and reducing the amount of soil moved. It also creates a berm for future moisture retention. The roots create a “sink” for the water flow which diverts the water into the soil and away from flowing across it. This starts to build up the shallow soil and water reserves on your property. I would not mow or kill this planting but allow it to re-seed and establish itself well. If the test works, you can replicate this downstream of where the water flows as many times as needed. Once the initial berm starts to form, plant the Garden Cover Up mix up stream. This takes advantage of the extra moisture to reclaim and build some good soil! This will only take 2 or 3 seasons to fully establish some excellent berms and then you can plant more. Buckwheat is not related to wheat at all, as it is in the Rhubarb family – if you can believe that! You should not have any reaction to buckwheat. You can avoid the oats by ordering the individual cover crop varieties. The Crimson clover and hairy vetch are strong nitrogen fixers, where the Buckwheat and Rye are fast growing ground covers. You can make your own mix by ordering the smaller amounts of the individual cover crops, avoiding what you are sensitive to. The cover crop mix will die after a couple of hard frosts. It becomes a mulch insulating and protecting the soil over the winter. During that time the roots decompose and increase the soil fertility. Depending on your climate over the winter the mulch should almost dissappear by next spring’s planting time. I don’t recommend tilling a cover crop, it disturbs the soil you spent the winter improving. When planting, open a small space in the mulch. Then it continues covering and protecting the soil while smothering weeds. If you do feel the need to till, raise the tines to only till the top 2 – 3 inches of soil and don’t disturb deeper layers. This will work the decomposed vegetative matter into the soil where it will be used quickly. The process is to plant a fall cover crop, let it die and overwinter to improve the soil. Next spring, plant another after the garden crops are in and up. This covers the soil and shades out most weeds. Repeat this cycle yearly and the soil becomes incredibly fertile after a year or so. In fertile soil weeds aren’t as much of a problem because they just don’t germinate as well. Fewer weeds leads to fewer insects, as many insects “partner” with specific weeds for habitat or to lay eggs on. Increased soil fertility means healthier plants which do not attract predatory insects. Thanks for your question! That’s why you need to kill the cover crops manually if the weather doesn’t freeze cold enough to kill them. Mowing or weed whacking is the easiest way to do this. Otherwise, the plants don’t die, the roots don’t decompose and you struggle to plant your garden. You just need to kill the cover crops in late October to mid-November, then they will be a benefit to the soil! There are a couple of ways to open up the soil, especially with a clay component. 1 – You can deep till the soil. 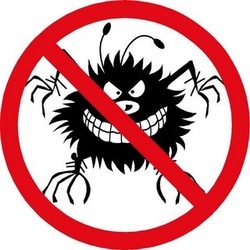 Realize you are destroying many micro-organisms as you are completely changing where they live. 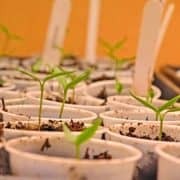 This is ok once or maybe twice when first establishing the garden, but is detrimental to the soil health if done often. 2 – Use a broadfork or other mechanical means to open up the soil without disturbing the layers. This is often done by hand, so will only work in a smaller garden. Because you won’t be able to drill down deep in a hard soil, this might need to be done a few times over a couple of seasons. 3 – Plant cover crops or aggressive root crops such as sunflower, wheat, sesame or Daikon radishes which drill down and open up the soil. This isn’t a one time, fix-all solution, but with replanting in spring and fall the cover crops can continue building and improving the soil. See the cover crops here! Hello, growing your Soil Builder Seed Mix this year in my garlic bed and it’s getting close to the time to taking it down. (frost date 11/4) I see you don’t recommend tilling it in but simply leaving it on the surface. When would you recommend applying amendments? And is there a cover crop for winter, something I could put in after my squash and tomatoes are finished? I live in a mild winter area, no snow, but occasional frost. Thank you, your Soil Builder Seed Mix has had quite enthusiastic growth this last month. I don’t recommend tilling because most home gardeners till too deep – only go about 2 inches and no deeper. 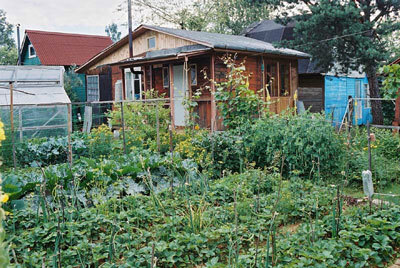 This prevents disturbing the layered communities in your soil with the tilling. You can apply amendments such as compost directly after cutting the stalks down to increase the positive effects of the compost and cover crop residue. It looks like you get our weekly email, but our latest one goes over cover crops a bit more – http://bit.ly/SoilOrganicMatter. I’m glad to hear the Soil Builder has done well for you so far – wait till you see what it does for your soil next season! As for a cover crop after your fall crops are out – if you have at least 30 days before your frost, OR if you don’t go below freezing much – you can re-plant one of our cover crop mixes, then cut it down once it has started to mature (but before it sets seed!). I recommend the Garden Cover Up mix for that as it is frost sensitive and won’t fight you for space next season. As little as 30 days can make a big difference in your soil next season.